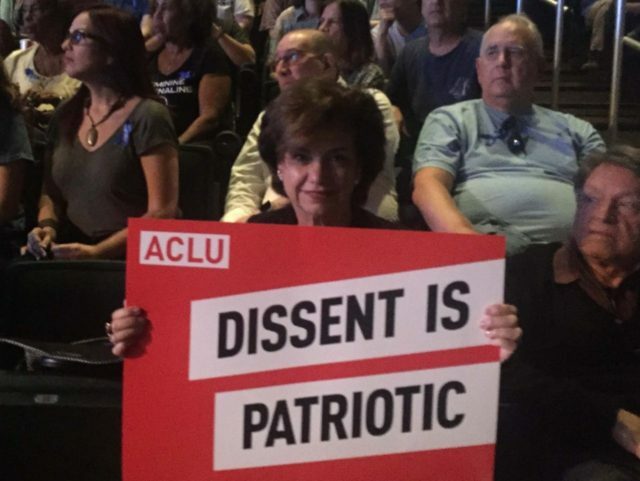 A column in the Wall Street Journal argues that the American Civil Liberties Union has given up on defending free speech. Just consider the ACLU’s stance on speech that allegedly denigrates “marginalized” groups. New guidelines recently published by the group make it clear that certain types of speech impede on progress. The ACLU famously defended the First Amendment rights of a Ku Klux Klan leader in the Supreme Court case Brandenburg v. Ohio (1969). The ACLU persuaded the court to reverse Clarence Brandenburg’s conviction on the basis that his bigoted speech did not directly incite violence or imminent illegal action. The Wall Street Journal column argues that the ACLU would likely turn away such a case today. Between the increasing distaste for the First Amendment within the organization and the immense pressures from the public, it’s highly unlikely that the organization would even begin to entertain taking on such a case in 2018.